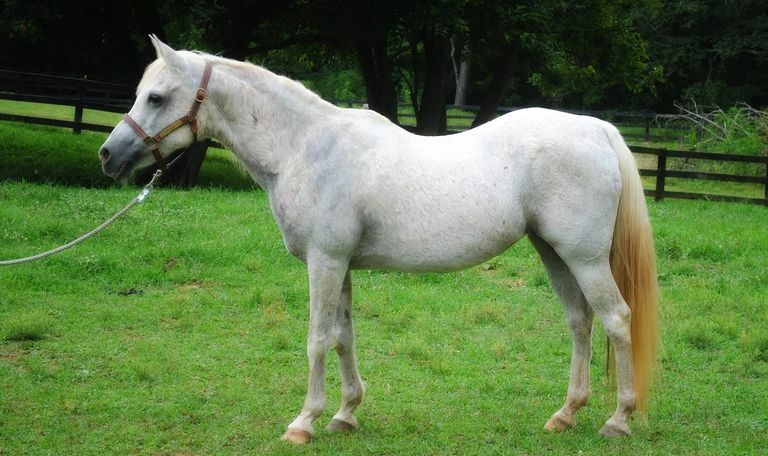 Arabella is a grey 1988 Arabian mare. She and Chloe were part of the Morgan County Crew seized in 1999 in West Virginia. Both mares were adopted out together several years later and have been together ever since. In December 2013, both she and Chloe were returned to the ERL when their owners moved out of the country. She is the quiet matriarch with impeccable manners and would make a wonderful, quiet equine companion. Arabella and Chloe are a bonded pair and we would prefer they were adopted out together.